Adjunct professors voted overwhelmingly in favor of a strike. They are demanding health benefits, annuity benefits and course cancellation fees, among other desires. 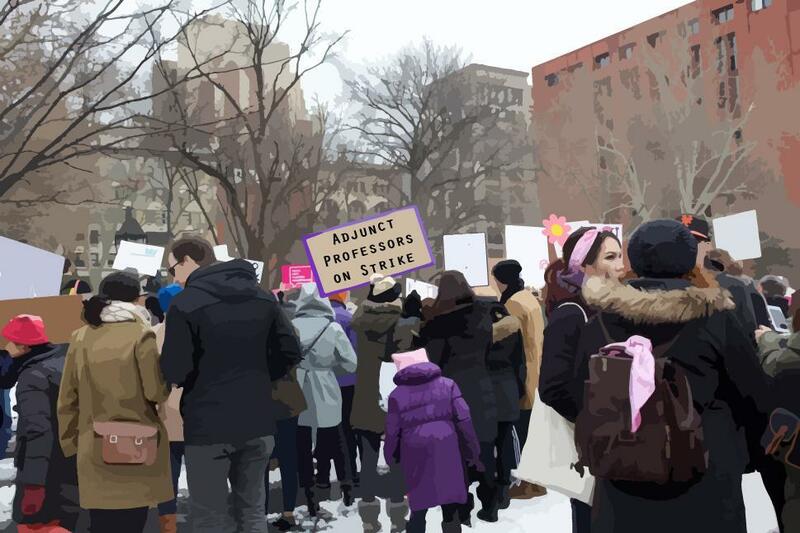 Adjunct professors hope to make a striking impression on NYU administration. The ACT-UAW Local 7902 — a professor union made up of adjunct professors from NYU and the New School — has negotiated with and made proposals to the NYU administration for nine months regarding health benefits, equitable pay and compensation, among other grievances. The union recently held a vote to see how many of its members were in favor of authorizing a strike against the university and 94 percent of the union’s 2,500 members voted in favor of the strike. Union president Emily Barnett said that the adjunct professors would rather not disrupt their jobs, and no date has been set yet for a strike. However, she also expressed that the union hopes its members’ responses will urge the university to take action to meet their needs. Barnett said that members of the union feel that the administration has not taken their demands seriously. She said that in the past, the administration has been unyielding in its refusals to change the current contract, and the professors’ issues with the contract. CAS senior Drew Weber, a leading member of NYU Student Labor Action Movement, said that student success and professor success go hand in hand. NYU spokesperson Matt Nagel said that the university is attempting to compromise with the adjunct professors. “We have been negotiating over many meetings and have made proposals for a new agreement — and we are continuing to negotiate,” Nagel said via email. Barnett said that the union has not yet presented the results of the vote to the university and is currently determining how to go about doing so. However, she said the union hopes a strike will not actually occur. Next articleWho Are the NYU Anti-fascists?